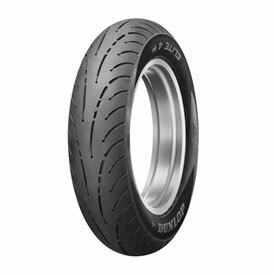 Mileage, mileage and more mileage: Dunlop's all-new Elite 4 with MT Multi-Tread rear tires provide significantly more mileage than single-compound tires. All Elite® 4 rear tires utilize Dunlop's Multi-Tread™ technology with a long-wearing compound in the center of the tire and a lateral-grip compound on each shoulder, providing increased mileage without sacrificing handling. Available in radial and bias-ply construction, the Eilte 4 fits hundreds of touring, cruiser and standard bikes, including current and non-current machines. High-mileage, even-wear characteristics, and great grip--the all-new Elite 4. These are the nicest riding tires I have ever ridden on. They hold a great line while cornering. I think they are the best that you can get for the gl1500. Quiet, smooth, anti cupping design. A little smoother than my Avon Cobras were. Did not consider myself a aggressive rider, but by looking at this tire with only 6405 miles you would think I drag boards all the time. Not so. I do ride twisted Southeast roads about 50 percent of the time. So if you ride straight up most of the time this may be the tire for you cause the center of tire has a lot of tread left but sides are gone. Wife weight 115lbs so definitely not overloaded, 42psi every time we rode. Very impressed with this tire bought my gold wing June of 2016 with 11265 miles with elite 4 tires already on it. 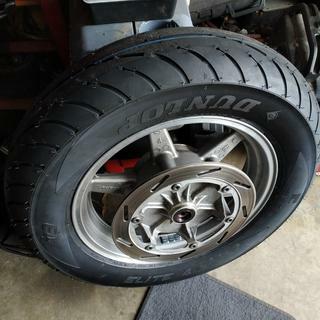 The bike has been driven 20442 miles now replacing tires with same Dunlop elite 4, handling feels very stable when cornering and emergency stopping highly recommend elite 4 tires. The canyon I live in makes it rough on sidewalls. Rebate makes these tires a great value. There handling is very good. I put this tire on my 2011 Victory Cross Roads. It has been a great tire so far. I've gone 2000 miles on it and it still looks new. I've gone through all the Elites and they just seem to be getting better and better. These are the "go to" for any cruiser touring bike. Handles really well. I searched reviews and the tire came highly rated by other bikers. This has been an awesome tire on my Harley. Best cornering I've ever had. Great tire. Better looking tread pattern the previous version. Handles great. Hoping for added miles to previous version as well. Replacing E3with the new E4 is the tire pressure the same for both? BEST ANSWER: I'm using the same tire pressure, recommended by the manufacturer of my motorcycle, for the front and rear tires which were E3's. I have about 7000 miles on E4's, they still look great! miles on them and they still look good. 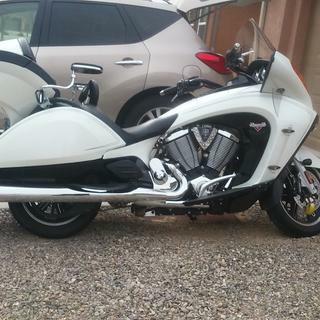 I've got a '98 Gold Wing and I'm running 41psi on the E4, which is what I ran on the E3's. Have about 5,000 miles on it and seems fine. I ran 38 front 42 rear on a 2012 GL1800 with e3 and e4 with good results. I plan to run 40/40 on my 2018 GL1833. Tire pressure is what the specs are for your bike. No difference in E3 and E4. Yes run the same air pressure as recommended by bike manufacturer. yes the pressure would be he same in the E4 as the E3 . I run the same air pressure in the 3 and 4. I kept mine the same. Rides nice. Yes...that is what I have done. I recommend 42psi on both.